Grosvenor Vadehra is pleased to present its upcoming exhibition: M. F. Husain, Paintings and Drawings: Works from a Private Collection, by India's greatest Modernist painter. The exhibition opens with a private reception on Friday May 22nd and runs until Tuesday June 9th. There is also another late night event at the Gallery on Friday 5th June. Maqbool Fida Husain (1915-2011) is rightly considered one of the most important South Asian artists of the 20th century. 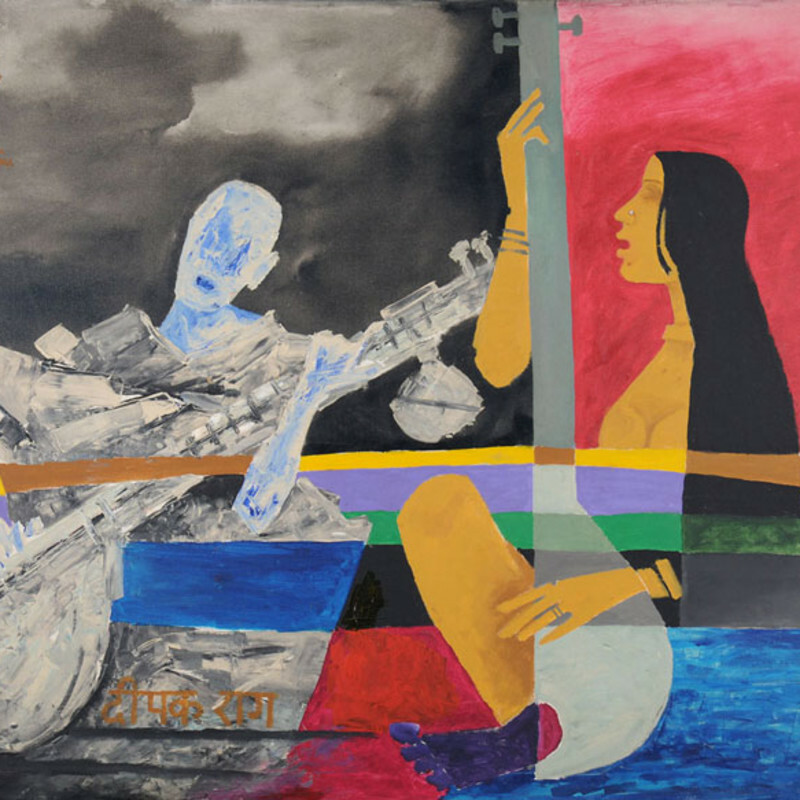 As a member of the Bombay Progressive Artist's Group, he was part of a small number of artists who introduced modernist painting to post-Independence India, and set the scene for the artistic development of the country from the 1950s onwards.